Our PM class is based on small group project work. 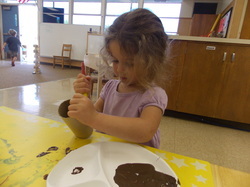 Our projects are developed from children's interests. 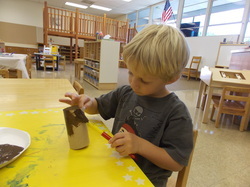 They build language and relationships through conversation and group work. 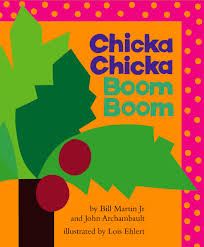 Our class is reading "Chicka Chicka Boom Boom"
by Bill Martin Jr. and John Archambault. 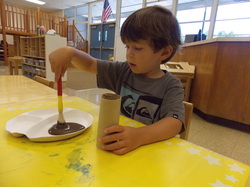 What a fun and interactive way to discover our alphabet!